This file is intended to create a Vocabulary Journal. I use it specifically with my weekly Vocabulary Words from each of the 2nd Grade Scott Foresman Reading Street Basal Stories. In various files, there are sheets for Units 1-6 with different pictures and heading depending on the theme of the unit. 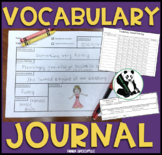 $1 Vocabulary Journal → This vocabulary journal is a great way to help students gain and retain new vocabulary from session to session. 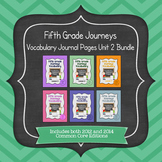 This is a great resource if you do book units with your students. After we read a new book, I have the students find new vocabulary words to put in their journals. 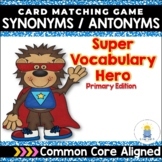 This packet contains 5 different worksheets that reinforce vocabulary work such as definition, sentences, synonyms, antonyms, parts of speech, prefix, suffix, and drawing pictures. 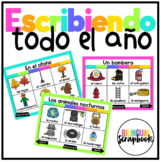 You can use these sheets individually or make them into a vocabulary journal. 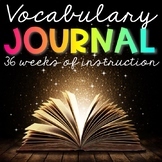 This is a great elementary grades vocabulary journal. 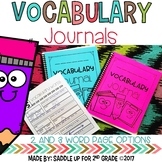 I have included 2 different covers, as well as a journal page that includes space for the word, meaning, picture, and the part of speech. 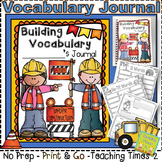 I love using vocabulary journals in my classroom! 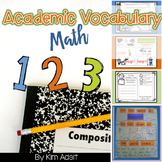 Each page has room for six vocabulary words with definitions, sentences and illustrations. You also get a cover. Copy as many of the word pages as you need for the year, or for each unit of study.